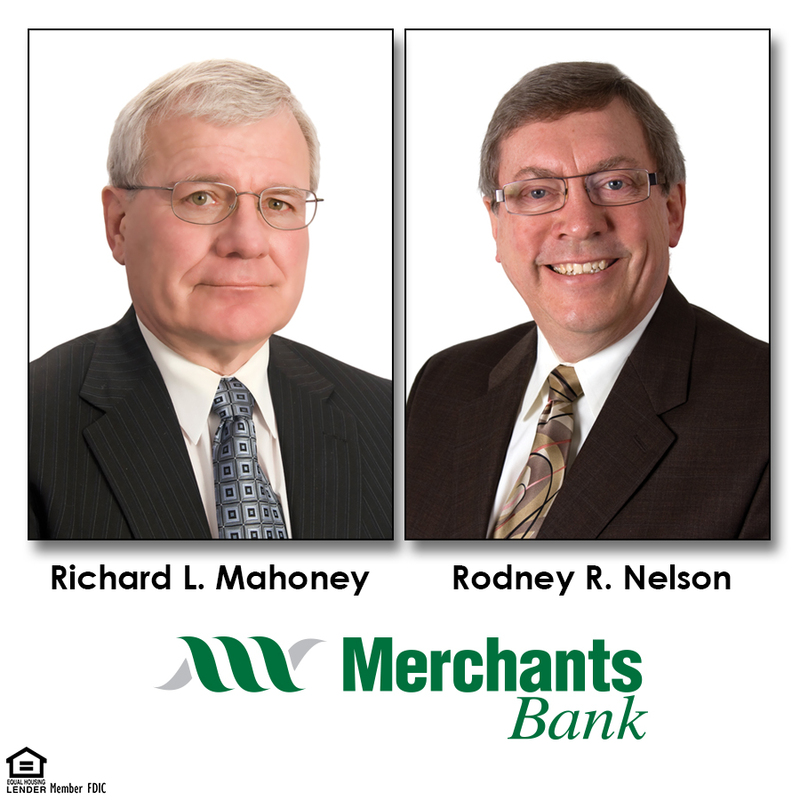 WINONA, Minn. – Merchants Financial Group, Inc. (MFGI) President & CEO Richard L. Mahoney has announced that he will retire as of January 1, 2014. MFGI Executive Vice President and Merchants Bank President of the Winona Charter Rodney R. Nelson will take over the position after Mahoney’s retirement. Mahoney has been with Merchants since 1987 and has served as MFGI President & CEO since 2000. It has been a period of exceptional growth for Merchants both organically and through acquisitions. Asset size in 2000 was $327,580,461. Nelson joined Merchants Bank in 2000, after serving 25 years with the Bremer Bank organization, including his last 12 years as President, CEO and Chairman of the Board for the Bremer Bank in Crookston. MFGI posted net income of $3,209,760 for the first quarter of 2013. MFGI had a record year in 2012, posting net income of $12.439 million. Merchants posted $8.778 million in net income in 2011, and $6.1 million in net income in 2010. Current asset size is $1.312 billion. Merchants remains in an excellent equity position at over $114 million. Merchants stock is closely held, but is available to the public when shares become available. There are approximately 400 shareholders, mostly individuals and families from southeastern Minnesota and west-central Wisconsin. Merchants also has an Employee Stock Ownership Program (ESOP).